NOTE: Date must be in the form YYYY-MM-DD, like 2019-02-11. She grew up just off the public square in Edmonton, the daughter of Metcalfe County Judge Gilbert Wallace. Both her mother and father held elected offices. Judy was a graduate of Metcalfe County High School where she was a cheerleader and a wonderful friend. Judy Wallace Irvin, age 72, of Russell Springs, KY departed this life on Monday, February 11, 2019 at the Russell County Hospital in Russell Springs. Funeral services will be held 11amCT Saturday, February 16, 2019 at Butler Funeral Home on the square in Edmonton with burial in the Russell Springs City Cemetery. Visitation will be Friday from 4-8pmCT and after 9amCT Saturday at the funeral home. 2019-02-11 - Photo from the family. Mary was a retail sales clerk at Victor's and JC Penney's in Campbellsville, a member of the Taylor County Homemaker's Club, and she crocheted many baby blankets, afghans and Christmas ornaments. Mary Phillips Wilson of Campbellsville passed away on Sunday, February 10, 2019. She was 89 years old. The funeral service will be held at 1pmET on Wednesday, February 13, 2019 at Parrott & Ramsey Funeral Home, 418 Lebanon Ave., Campbellsville, KY, with Rev. Daniel Lyons officiating. Burial will follow in Campbellsville Memorial Gardens. Visitation is requested from 5pmET until 8pmET on Tuesday, February 12, 2019 at Parrott & Ramsey Funeral Home. Hazel was a homemaker and a member of Green River Valley Separate Baptist Church. 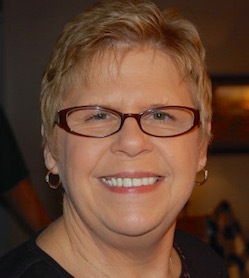 Hazel Helm Henson of Danville, formerly of Dunnville, passed away on Saturday, February 9, 2019, at Charleston Health Care Center in Danville. She was 91 years of age. Funeral services are 1pmET on Wednesday, February 13, 2019, at McKinney-Brown Funeral Home, 752 Campbellsville St, Liberty, KY, with Brother Richie Curtis officiating. Burial will follow in Antioch Cemetery. Visitation will be held from 5pmET until 8pmET on Tuesday evening at the funeral home. The Kentucky Supreme Court was asked Friday to overturn statewide election results from last November that would grant new constitutional rights to crime victims. Although 63 percent of Kentucky voters approved Marsy's Law, a proposed constitutional amendment, the lengthy and complex language of the amendment did not appear on the ballot or in state-paid newspaper advertisements in advance of the election. Instead, legislators crafted a ballot question about treating crime victims "fairly" that was so vaguely worded that voters had no idea what they were being asked to support, according to a lawsuit filed by the Kentucky Association of Criminal Defense Lawyers. Frankfort, KY - First Lady Glenna Bevin is excited to launch the 2019 Kentucky Derby Poster Contest for high school students in the Commonwealth. Mrs. Bevin invites 9th-, 10th-, 11th-, and 12th-graders across Kentucky to create the official Governor's Derby Poster, to be displayed in the State Capitol for years to come. Glenda enjoyed spending time with her family and friends and was known for her ironing, cleaning and especially her cooking. Glenda Gupton of Campbellsville passed away on Sunday, February 10, 2019, in Campbellsville. She was 79 years old. The funeral service will be held at 1pmET on Tuesday, February 12, 2019, at Parrott & Ramsey Funeral Home, 418 Lebanon Ave., Campbellsville, KY, with Dr. James E. Jones officiating. Burial will follow in Campbellsville Memorial Gardens. Visitation is requested from 5pmET until 8pmET on Monday, February 11, 2019 at Parrott & Ramsey Funeral Home. Two Kentucky musicians -- gospel artist Jason Crabb and opera tenor Garrett Sorenson -- won big last night at the 2019 Grammys. Crabb, a gospel artist who hails from Beaver Dam, Kentucky, won the Grammy for "Best Roots Gospel Album" with his release of "Unexpected." Garrett Sorenson, a tenor with the Kentucky Opera, won the Grammy for "Best Opera Recording" for his performance of "Bates: The (R)Evolution Of Steve Jobs." A Warren County Regional Jail inmate escaped from custody Sunday, prompting a police investigation. Benjamin Pedigo was part of a three-person crew of inmates taking trash out of the building when he ran Sunday, according to information on the jail's Facebook page. Frankfort, KY - - State Budget Director John Chilton reported today that General Fund receipts fell 3.4 percent in January with revenues of $924.6 million. January's receipts declined modestly compared to the $956.8 million collected in January 2018. Through the first half of FY19, the General Fund has grown 2.6 percent. The official General Fund revenue estimate for FY19 calls for revenue to grow 3.3 percent compared to FY18 actual receipts. After January's results are considered, General Fund revenues must increase 4.4 percent for the remainder of the fiscal year to meet the official estimate. Portsmouth, OH - No. 20-ranked Lindsey Wilson women's basketball ended its two-game losing streak today with an impressive 70-55 win at No. 10-ranked Shawnee State (Ohio) at the Waller Gymnasium. Lindsey Wilson returns to action at 6pmCT on Thursday, Feb. 14, as the Blue Raiders host Cumberland (TN) at Biggers Sports Center, 360 Spickard Drive, Columbia, KY.
Julian Amon "Teddy" Stephens, 92, of Russell Springs, died Friday, February 8, 2019 at the Hospice of Lake Cumberland Jean Waddle Care Center in Somerset. Funeral services will be 10amCT Tuesday, February 12, 2019 at the Bernard Funeral Home Chapel, 367 N. Main St., Russell Springs, KY, with Bro. Roger Garner officiating. Burial will be in the Parks Ridge Cemetery. Visitation will be 5-8pmCT Monday and after 8amCT Tuesday until funeral time at 10amCT. UPDATE Tuesday, 12 Feb 2019 - lane reopened. Somerset, KY - The Kentucky Transportation Cabinet (KYTC) has temporarily reduced the Louie B. Nunn/Cumberland Parkway eastbound to one lane in Pulaski County as crews perform pavement maintenance operations at mile point 78.8 (east of the Nancy exit). The lane closure will be in place until all necessary work has been complete. A Taylor County man was arrested after a search warrant was executed on his vehicle within the city limits of Columbia. On Friday, February 8, 2019, at 8:46pmCT, the Adair County Sheriff's Office executed a search warrant on a 2005 Buick Regal on the 1000 block of Campbellsville Street in Columbia. The vehicle was owned and registered to a Ricky Barnett, age 64, of Taylor County, KY. Barnett was charged with Possession of a Controlled Substance, 1st degree, Oxycodone. Lawrenceville, GA - The Lindsey Wilson baseball team dropped game two of their season-opening three-game series against Georgia Gwinnett on Saturday afternoon. The Blue Raiders (0-2) lost game two 10-3 at the Grizzly Baseball Complex. Lindsey Wilson was able to get their bats going in game two scoring three runs while out hitting the Grizzlies 11-9 for the contest. Austin Rayno, Zak Mizell and Seth Price were all able to cross home plate, scoring the Lindsey Wilson runs. Travis was a member and Deacon of Knifley Christian Church, retired from Parker Kalon and served two terms on the Adair County School Board. Travis Corbin of Knifley, Kentucky, died Sunday, February 10, 2019 at 5:21am at his home. He was 83 years old. The funeral service will be held at 11amCT on Wednesday, February 13, 2019 at at Grissom-Martin Funeral Home, 200 Campbellsville Street, Columbia, KY with Bro. Hugh Withers officiating. Burial will follow in Haven Hill Cemetery. Visitation is requested on Tuesday from 5pmCT until 8pmCT. --Robert Stone, Monday, 11 February 2019. Doug, your critique of Ed's "never proofreading" his work brings to mind a couple of conversations which took place repetitiously over a period of years. Number one, Ed often articulated the difficulty of proofing one's own work. Number two, we both agreed that searching for one's own foul balls detracted from the capacity of the creative genius to hit home runs. It's currently 45F at the Adair County Mesonet station. Expect patchy fog before 11amCT, and showers today, with a high near 58F. East wind 3 to 7 mph. The chance of precipitation is 100%, and new precipitation amounts between a quarter and half of an inch are possible. Tonight will bring continued showers and possibly a thunderstorm, with a low around 55F. South wind 7 to 13 mph. The chance of precipitation overnight is also 100%, with new rainfall amounts between three quarters and one inch possible. The rain will be moderate in intensity at times, causing rises on area rivers and streams and likely periods of street flooding. The heaviest rain appears to be from 10pmCT tonight through 6amCT on Tuesday, ahead of a potent cold front. Expect a high near 61F on Tuesday. Breezy, with a southwest wind 9 to 14 mph increasing to 18 to 23 mph in the afternoon. Winds could gust as high as 39 mph. The chance of precipitation remains 100%, with new precipitation amounts between a half and three quarters of an inch possible. Adair County: No events Circuit Court. 41 events District Court. Casey County: 81 events Circuit Court. No events District Court. Cumberland County: No events Circuit Court. No events District Court. Green County: No events Circuit Court. 59 events District Court. Metcalfe County: 3 events Circuit Court. No events District Court. Russell County: No events Circuit Court. 196 events District Court. Taylor County: 35 events Circuit Court. 71 events District Court.